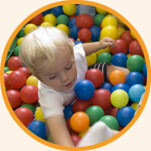 Manor Farm Day Nursery in Sandy, Bedfordshire, is situated in a beautiful Edwardian building set in extensive and well resourced grounds. With excellent links to the A1 and only 5 minutes away from Sandy railway station and 10 minutes from St Neots, Manor Farm is perfectly located for your commute to Bedford, Stevenage, Cambridge, Peterborough, London and surrounding areas. Our Ofsted registered nursery offers friendly, warm care for children from 6 weeks to 5 years in a safe, happy and secure environment. 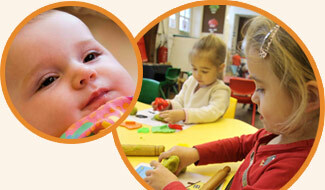 Where babies and young children grow and develop at a comfortable pace.